Valle Piola can be restructured and turned into a boutique hotel with a swimming-pool strategically placed to let guests enjoy a breathtaking view. Regional, national and European funds can be accessed to recover mountain areas. Recently, a regional law was passed in order to foster the conversion of abandoned villages into boutique hotels. Some recent examples of successfully reconverted boutique hotels in Italy are located in Santo Stefano di Sessanio, Matera and Alberobello. 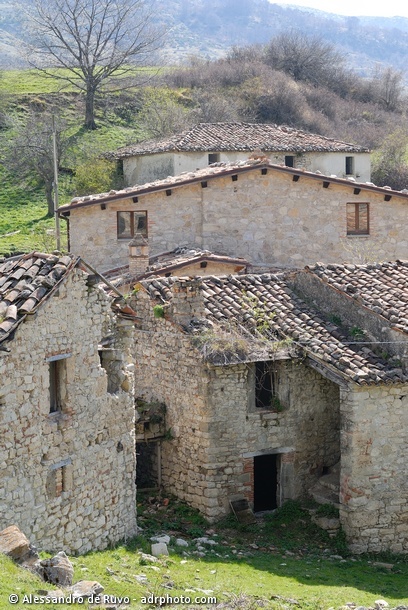 Despite the fact these villages have not been abandoned, some Valle Piola’s peculiarities can be turned into key success factors. Valle Piola is located in a natural amphitheatre where Rio Valle springs, which is characterized by a sense of peace and quiet. Moreover, main alpine skiing resorts which are on the East side of Gran Sasso Mountain can be easily reached. In this area cross country skiing is also practiced. In summertime, several other sport activities are available: hiking, mountain biking, and equitrekking. These features make Valle Piola an ideal solutions for those willing to be in contact with nature, in a unique set, either relaxing or practicing sports. Of course, other integrations can be considered: wedding parties, local wine and food tasting events, artisan shops and beauty farm. For further information and for a deeper analysis, please do not hesitate to contact us.